Less stress in your kitchen can be had if you design your kitchen by zones! Let’s start with the Planning Zone. What is a planning zone? Well if you are anything like me, your island has become a pile of kids school papers, bills, cookbooks, snacks and other miscellaneous items I promised myself would find a home, someday. The Planning Zone is an area with a cabinet and shelf base that can store items and display them in a tidy and creative way. Features can be built into cabinets for key holders, message boards, mail organizers and even a power strip for cell phones. 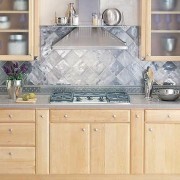 Talk to your kitchen designer about onlays, valences and furniture feet to dress up your space. Baskets in an open shelf can organize, yet hide messy papers! Next, we have the Set the Table Zone. Sounds easy right? 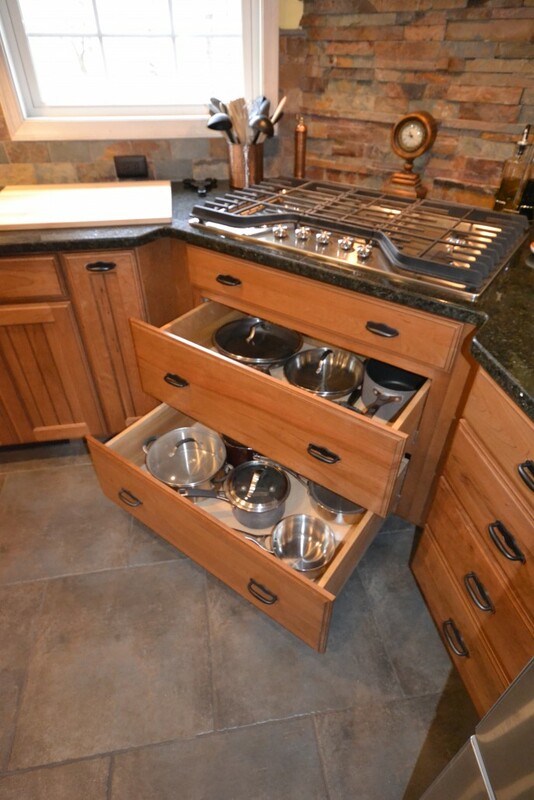 Imagine if you had a smart design that allows all of the drawers to be organized. From your tiered cutlery drawers, roll out dish drawers that adjust, drawer spice racks to pull out filler storage; at CCKAB, we can design smart so you can store easily, gain space and save time. There are an infinite number of arrangements and pantry drawer inserts for your kitchen prep needs! Are you ready to keep it all at your fingertips with the Meal Prep Zone? Organize like a professional chef with cabinets that have roll out trays, pull out peg boards to hang utensils, hidden chopping blocks, mixer space, basket shelves, roll out tray dividers for those unique baking pans, bread drawers, meal baskets for cool/dry storage and mini roll out pantry. Up next… Clean Up Zone. With this zone so organized, even the kids will want to clean up… well, perhaps. This area is compact, tidy and very handy. A large recycle bin base with removable bins can be very helpful not only to our planet, but in separating the recyclables. Smart design and location for the trash can base is critical- double, single or even in the corner cabinet. Under the sink mess can be tamed with door panel shelving and roll out bottom drawers for cleaning products or step stools! A great hideaway and drying rack for towels or cleaning cloth might just be the extra add-on perk you can’t live without! And finally, the Display Zone. Your kitchen is the most versatile and busiest room in the house! Why not have a few eye catching displays. From a front ladder rack, stem glass ware shelving, wine cork or dried herb glass partitions to open shelf bookcases with bead board can really off set the beauty of your kitchen. 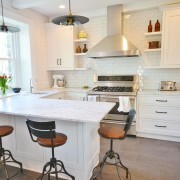 How to ensure your remodel finishes on time and on budget.